﻿ Three kinds of corrugated pipe with total different functions. Corrugated pipe is called bellows pipe somewhere. A kinds of flexible pipe, not only the flexible conduit. Both outside and inside surface like bellows. Some of them are used for wire and cable protection, some of them buried under the soil to transfer the rubbish or sewage(waste water), and some of others are used for air, gas, soil. Here are three kinds of corrugated pipes based on different materials and structures: single-lock corrugated conduit, double-lock corrugated pipe and metallic bellows pipe. Here are introduction about them. The general materials of single-lock corrugated conduit are Nylon (polyamide), PP (polypropylene), PE (polyethylene), PVC(polyvinyl chloride). They are single wall pipe. Based on the different material, the properties and price are different. But the functions are the same, to protect wire and cables. They are used common in construction, machinery, cnc machine, automation, automobile, ship and so on. 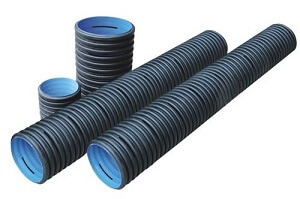 Double-lock corrugated pipe is made from HDPE or PVC. It’s structure are different from single-lock corrugated conduit. We bury them under ground to transfer the rubbish and sewage. Their general sizes are bigger than single wall pipes. Base on it’s structure, they have better strength. In our daily life, it’s easy to confuse HDPE corrugated pipe(double wall) and HDPE general corrugated conduit(single wall). So if you want to buy them, please tell the sales your functions or structure. The general materials of metallic bellows pipe is stainless steel(#202 or #304). Especially, metallic bellows pipe is not used for cable protection, and for gas with high pressure or high temperature oil. It’s widely used in measuring instrument, stove, heaters. In the market, there are some metallic pipes are used for wire and cable protection. Like metallic flexible pipe, stainless steel conduit and pvc coated galvanized steel pipe. Although there are outside and inside similar to the bellow, but they belongs metal flexible conduit, not corrugated pipe. The above is a brief introduction about three kinds of corrugated pipe with total different functions. 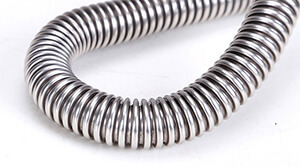 If you have any questions about corrugated pipe, welcome to send us emails for any assistance.